The Clemson University Center for Workforce Development provides a number of resources to help 2-yr institutions and industry effectively train the next generation workforce. In addition to resources, vigorous research is also conducted to study the effectiveness of using virtual reality tools within curriculum to enhance skill transfer. A resource for technical colleges. Our team works diligently to provide the highest-quality virtual reality components to support various educational needs across many institutions. 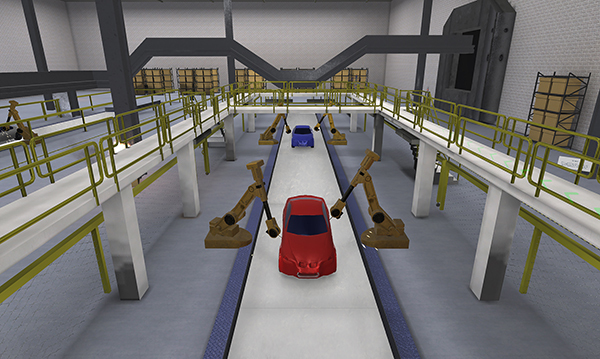 Whether in high school classrooms, 2- or 4-year institutions, or industry settings, our VR affords the user a virtual hands-on experience with tools, equipment and scenarios that may not otherwise be possible to train on. As a service to our partners, we publish findings from conferences and workshops sponsored by CUCWD. If you have questions concerning these, feel free to contact us. Below you will find useful links in career exploration and training from various local and national sources. Does your organization have a need for high-end virtual reality development? Contact us to see how we can help. The Clemson University Center for Workforce Development is a South Carolina Commission on Higher Education approved, statewide P-20 initiative to improve workforce educational capacity in STEM fields across South Carolina.